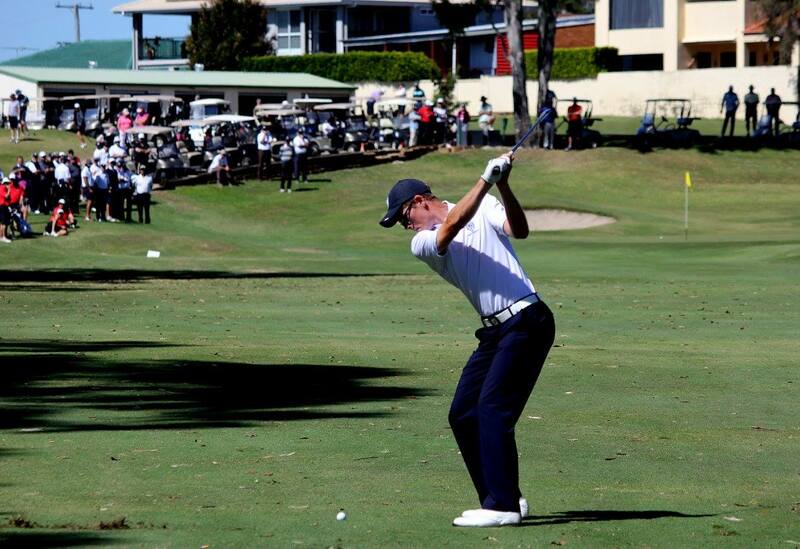 The Brisbane Golf Club has won the Division 2 Pennant for only the third time in 32 years. Click here to see the photo album from round six of the 2016 Pennant Season. Whilst losing our last round match against Redcliffe Golf Club 7-14 away our superior number of matches won over the full six rounds this year secured the Pennant. The Brisbane Golf Club won 69.5 matches during the 2016 Pennant Season with Indooroopilly Golf Club second on 65.5 matches. Redcliffe Golf Club and Wynnum Golf Club tied on 58.5 matches with Wynnum Golf Club relegated to Division 3 following a countback. The Brisbane Golf Club has now been promoted to Division 1 and will join Keperra Golf Club, Nudgee Golf Club and Oxley Golf Club in 2017. Winning away proved as elusive as ‘the Australia cricket team winning away’ and it was amazing that no team in Division 2 was able to do so in 2016. Our Juniors went into round six needing 2 or 3 points to win the Junior Trophy and unfortunately were unable to secure any points. 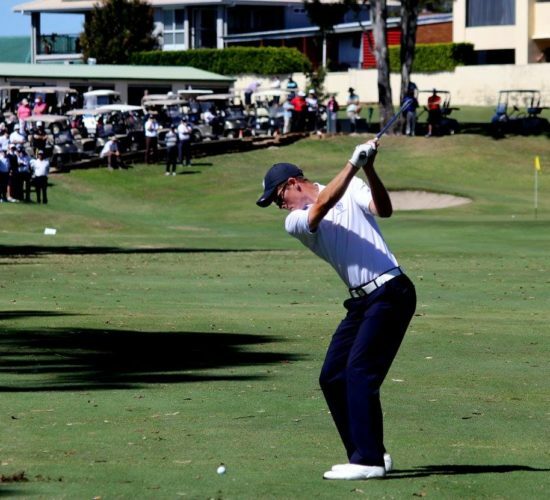 All five of our juniors ran into an impressive junior team, led by Tyler Duncan, who was the runner up in the 2016 Queensland Boys Amateur Championships held in June. Whilst not ending the year as hoped our Juniors were so impressive in 2016 and we take this opportunity to congratulate and thank Louis, Bailey, Matthew, Sam, Adam, Zach and Hayden for their contributions. It will be really exciting to watch their progress over the next 12 months. 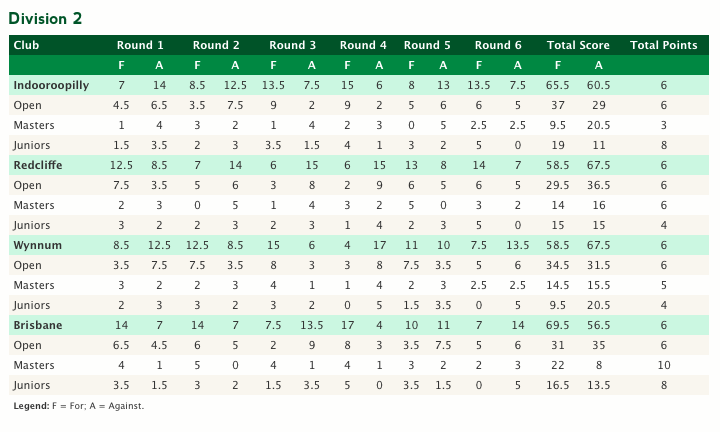 The Opens recorded their best away result of the year against Redcliffe Golf Club securing an extremely valuable 5 wins. Congratulations to BGC debutant Shae Wools-Cobb on his 4&3 win and also Louis Dobbelaar who played his first match in the Opens and won 5&4. Warwick Oxenford returned to the Opens from the Masters to win 1up whilst David Padayachee recorded his fourth win of the year 4&3. Jordan Lett hit arguably the shot of the season into 18 to square his match and Lewis Clelland also squared his match. The Opens squad included a total of 17 players in 2016 and whilst only 11 could play against Redcliffe Golf Club yesterday the fact that the other six including Phil, Alan, Simon, Sam, Joel and Luke were all present providing their support showed enormous class. Well played Opens in 2016. The Masters were defeated for the first time in 2016 by Redcliffe Golf Club 2-3, however, had already done enough to secure the Masters Trophy for the third year in a row. Brett Kinninmont recorded his fifth win of the year (3&1) whilst Nick Woodley (2&1) in only his second appearance in 2016 kept his 100% wining record in tact. The Masters were simply dominant in 2016 and their 22 wins and only 8 losses was the best win/loss ratio in the entire Division including the Juniors and Opens at 73%. Whilst everyone at BGC has worked hard to reach Division 1 for some of our Masters it has been quite a journey to get here. Well done gentlemen. Gary, Warwick, Stephen, Brett, Rob and Nick -you guys are legends. In closing a big thank you to Joe Janison and Reece McRae in the golf shop, our team manager Phil Fraser, our official photographer Renitta Flynn and all of our caddies and support crew. To those members who came out to watch during the year and provided your support on Facebook we also wish to thank you. Congratulation to Captain Stephen Deane who in winning Division 2 repeated the efforts of his father, Don in 1984. They are the first father and son Captains of The Brisbane Golf Club to achieve this. Wow. We look forward to 2017 and the challenges of Division 1. A total of 30 players represented The Brisbane Golf Club during the 2016 Pennant Season and below is our 2016 Honour Roll.